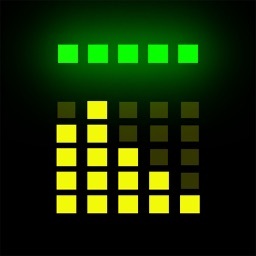 Battery Box 3-in-1 by John Temple Group Pty Ltd.
3 battery apps in 1! 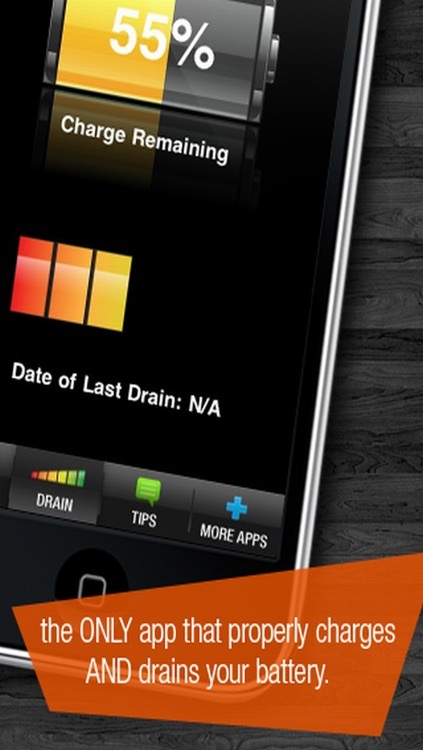 The only app that charges AND drains! Battery Box 3-in-1 gives you THREE useful battery apps to maintain and increase your battery life. 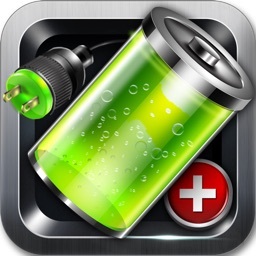 It is the ONLY app in the entire app store that will effectively charge AND drain your battery. 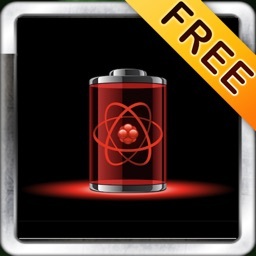 If your battery life isn't lasting as long as when you first got your iPhone/iPod, you may need to completely drain the battery and fully charge it. 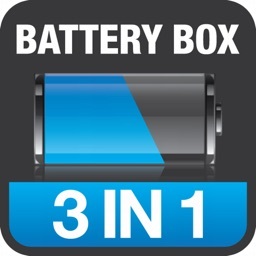 Battery Box 3-in-1 uses an advanced algorithm to efficiently drain your battery quickly and easily. 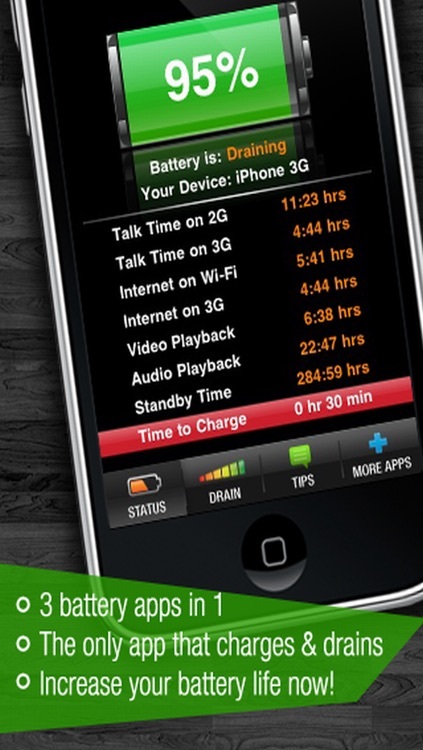 Use our collection of tips and tricks to improve your battery life. 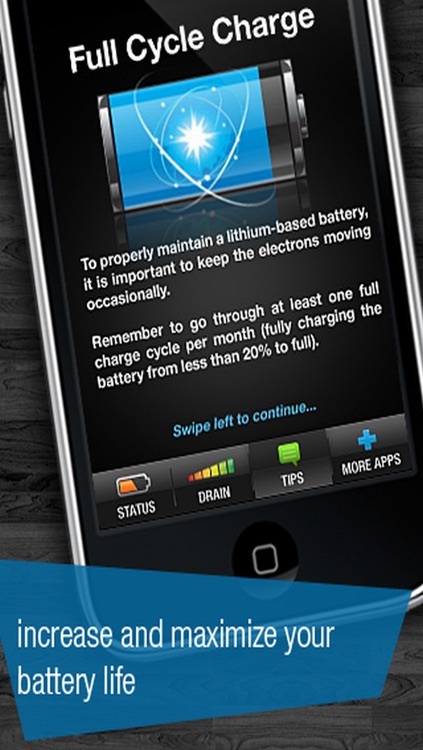 "For proper maintenance of a lithium-based battery, it’s important to keep the electrons in it moving occasionally. Be sure to go through at least one charge cycle per month (charging the battery to 100% and then completely running it down)." 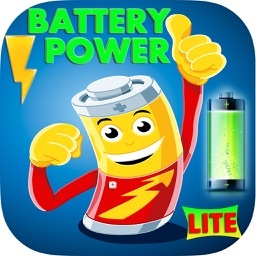 Don't let your battery die out! 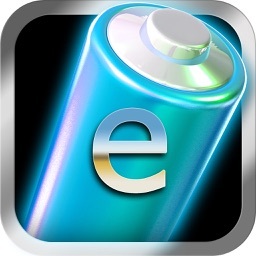 Start now and increase your battery life today!